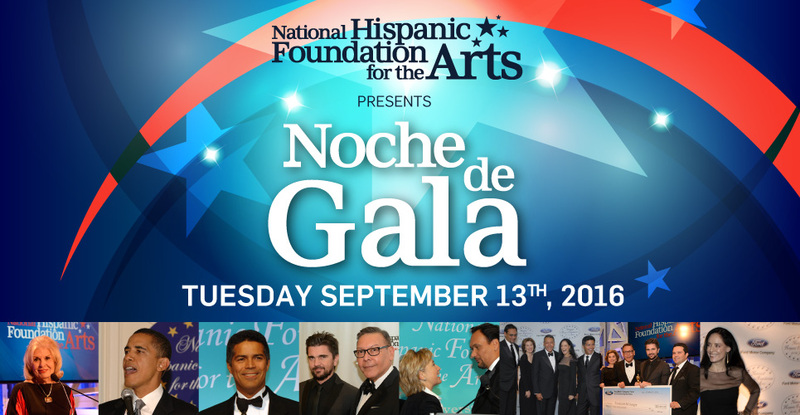 Tonight, we are starting our three part interviews with the stars at this year’s National Hispanic Foundation for the Arts gala known as Noche de Gala. For part one, we are talking to actress Lynda Carter and NHFA Co-creator Felix Sanchez. First, interview of the night, reporter Harry Crosland talks to the 2016 Raul Julia Award for Excellence winner actress Lynda Carter. Carter is known to the world as TV’s Wonder Woman, who she played from 1975 to 1979. Most recently, she has been singing her heart out across the country with her wrote and recorded original songs for the video game “Fallout 4” and plays the President of the United States in the CW’s Supergirl. First of all, I am happy and I am proud to see that you’re coming full circle. You’re the most powerful woman on Television as the Amazon Wonder Woman. Now, you’re the powerful woman as President. How does it feel to be taken that role? As president, it was great because I didn’t have to campaign. I didn’t get any pneumonia. I didn’t get sick. You know and I know Hillary Clinton. And she’ll never go down. She would not “No, I am not sick. I can handle it. I can get through it. It is like her to say “No, I’m fine, I’m great!” It isn’t to try to dodge it. It is her. It’s who she is. It is just to say that I can handle it. I know it because I can do the same thing. I don’t say www until I am down. Right because that’s what’s important now. I mean when you look at the landscape and the award that you’re accepting here tonight. People have to know that America is all inclusive. And it’s important for stuff like this. How important is this award for you tonight? I’m so touched, completely blown away by the Hispanic community as I often am. The way that they have embraced me here. My grandmother was born in Mexico, in Chihuahua. Her family bought her over as an undocumented worker and she became a citizen in her 50’s. She had ten children. She raised them. She kept her family together and my story is the same as many others. And as I said earlier, this is what it looks like. And I would say that I contributed to this country. A lot, a lot and still are and we are still thankful for it. Right, this is what it looks like folks. This is America. I am product of TWO undocumented workers. My grandmother came from England. She wasn’t legal either. And nobody had to tell her to go home, she was here. Yeah she was here and her visa expired. She had to marry an older guy. She had to abandon her kids. My grandmother from Mexico did not. So there you go. Ms. Carter, thank you so much. Next, Dean talks to Felix Sanchez. Sanchez is the Chairman and Co-founder of the National Hispanic Foundation for the Arts (NHFA), which he founded with actors Jimmy Smits, Sonia Braga, Esai Morales and Merel Julia. The goal of the foundation is to advance the presence of Latinos in the entertainment and telecommunications Industries. How has the portrayal of Hispanics improved since of this wonderful organization? Well what I think what we brought a lot of consciousness to roles and we really talk so much about stereotypes and broadening the prospective and creating three-dimensional characters and not just having us being marginally present in film and television. I think that shows like America Ferrera’s Superstore have been really, really fantastic in bringing forward images and characters that are not just based in kind of a cookie cutter image of who Latinos are today. In fact, they are bringing a more diverse image of who we are today. I’ve noticed that 17% of the US population are Hispanic but on 2% is represented on TV. How can the industry improve on these numbers? It’s about the writing staff. It’s about the creators and their desire to kind of bring this audience. If they want to engage an audience that we already know over index for watching television and mobile devices and films and gaming, then its logical that you’re going to have to bring more characters, storyline and narrative that’s going to influence them and bring them to your project because we know that they have so many options today and that is the real test. If you want the audience, engage them. Twenty years ago, there were a few people who had the good fortune of being on television. One of those persons was Jimmy Smits. Jimmy Smits was one NYPD Blue. There were four major networks at the time and cable didn’t have the kind of impact it had. So when you had an audience, the audience that was watching him was a huge part of the American viewing audience. So people recognized his talent and he wanted to do something to open the doors to the next generation behind him. The same thing went for Esai Morales & Sonia Braga. We created this evening to honor Raul Julia, the memory of Raul Julia who had just died. That’s how it all came together. I must say that the person who launch the foundation was Hillary Clinton. She came in ’97, in ’98 and again in 2006. President Clinton came in 2000. We been very grateful to the Clintons who understood the importance of the image representation in television and in film. Speaking of improvement, we have just heard that SNL has hired the first Latina cast member. How does that feel to have one there after 41 seasons? Well, that’s almost half a century of not inviting a major part of a community to participate on your show. You can look at it and say “What were you thinking to be so exclusive? And now, we are grateful and appreciative that they’ve done this but more has to be done in the area of comedy and more opportunities have to be present in the area of comedy for Latino women and Latino men.